Sometimes a trade exit isn’t so much about a specific signal showing up, or a specific target being hit. Rather it can be a lack of either of those things. When you get to know how stocks behave, how patterns repeat, and understand the fundamental meanings of certain price points, you can use a failure of those patterns or points as a signal that a move has come to an end. 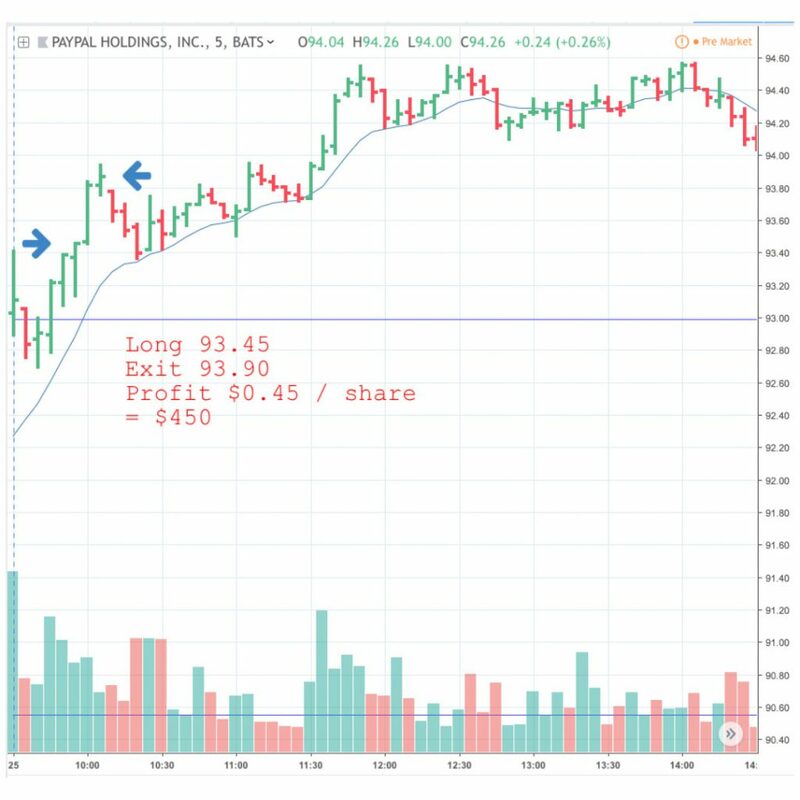 Such was the case with this trade on PYPL on Friday. 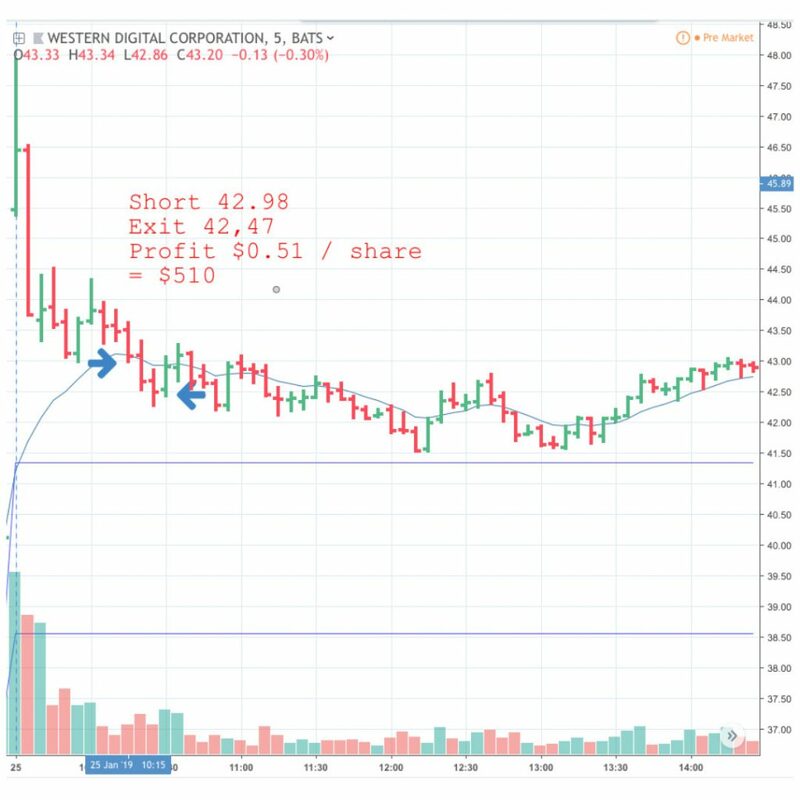 A ten minute trade that put more than four hundred dollars in the bank, with an exit that will be obvious to anyone who trades my stocks strategy. Another ten minute trade netting over five hundred dollars was this from WDC. Again, an exit defined almost as much by something not happening than something happening. This one was very clear to see on the time and sales though — momentum swung around and it was obviously time to get out.